Well, looks like I left it 2 months since my last blog. Shameful. I'm sorry internets. As I said before, I guess I do more mini-blogging with stuff like twitter, and whenever I get hold of photo sets from my gigs they get posted straight away to my facebook pages, myspace and flickr - but you guys probably already know that, and if you don't, and need more John B stalking bizniz in your life - then there are lots of ways to go about it... Just no stalking in the real world please - that would be a bit creepy. Been a busy couple of months as usual - most recently I can let you know that the latest episode of my podcast is up now click here to go download it and generally I've spent most of my time recently on aeroplanes to gigs, or at gigs, or in hotels - playing a little bit of Call of Duty inbetween. Oh, and hunting mice in my garage. 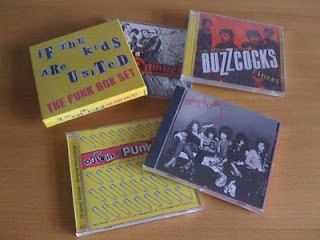 Realised I had a few gaps in my Punk CD collection too, so plugged in a few with today's amazon delivery! Had a few good gigs last week, although I ended up at Heathrow Airport 4 days running! 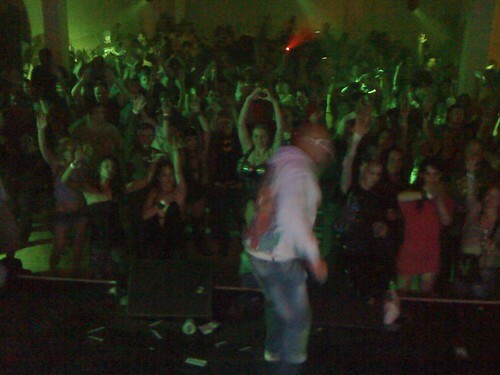 Played Vienna on Wednesday, then Electro/Techno gigs in Ulm and Friedrichshafen in Germany on Fridady and Saturday. All of them seriously good, mega hot rammed rave-ups indeed. We recorded my set in Ulm so I'm in the process of getting hold of the recording and will publish it as a podcast as soon as possible! I also have recordings from my guest appearance on Bailey's show on BBC 1Xtra a couple of weeks back ready to go soon, so those should make for some nice bonus podcast episodes too! 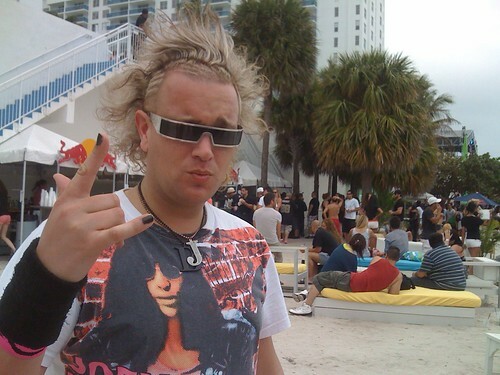 Ok, I need to go get on with stuff - will post lots more photos later - meanwhile here's one from Miami - taken at the beatport pool party after I'd been uncharacteristically up all night after P DIDDYS MANSION POOL AFTERPARTY. Ah, and here's my mousecatcher girlfriend Hayley. 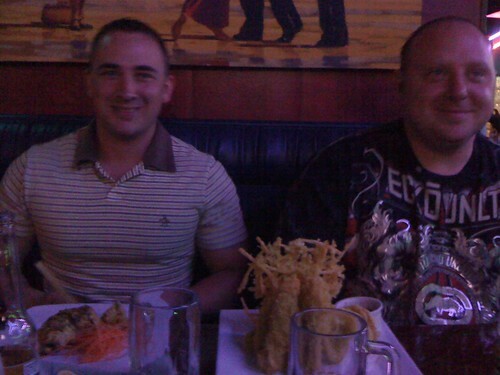 My cousin Greg and his mate Stu at the best sushi spot in Miami: SUSHI ROCK!